When your elevator stops working the entire building feels it. At Dunwell Elevator (DES) we understand your need to have elevator repairs done quickly and correctly. At DES, top-notch mechanics are familiar with all types of elevators and responsive to your needs. 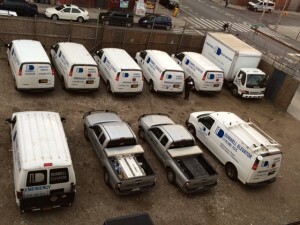 Our fleet of vans is at your service 24/7/365.